Sony has revealed that all PlayStation Network accounts are to be rebranded this week, with the service to be folded into the Sony Entertainment Network. The Sony Entertainment Network brand is big news for Sony as it is the first time the company has tried to bunch all of its online services under one moniker. Usually Sony's PlayStation sector is immune to any changes the rest of the company is going through, but as of 8 February the PlayStation Network will become part of the Sony Entertainment Network. Sony has issued a statement to all users of the PSN, explaining that the change will actually change nothing – it is just a lick of paint and a rename. "This transition is based on Sony's goal to enhance its unique digital entertainment offering. As a series of these activities Sony started last September, PlayStation Network will be aligned with Sony Entertainment Network," said the release. "This helps us get closer to our goal of establishing a global comprehensive network platform of services across games, movies, music and more, all accessible from one convenient account." 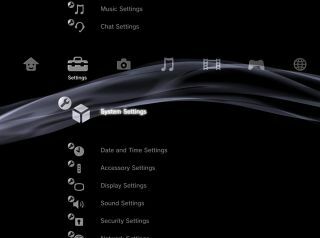 TechRadar spoke to Sony about the changeover back in October 2011, when So Saida, senior director of global business strategy and development at Sony, explained: "We have created a strong community around games devices. We have subscription services for the PS3 and PSP and Vita. "But with what we call the non-core-gamer, Sony brings many other products such as Bravia TV, home theatre devices, Sony Tablets, PCs and mobile. "It is about enriching the customer journey and making them believe in the Sony experience. "The content is following [the customer] and not the device. And it is all about a consistency that we bring to our products with Sony." Sony announced last week that its CEO Howard Stringer will be stepping down and Kaz Hirai taking his place as of 1 April. Interestingly, it was Hirai who was in charge of creating the Sony Entertainment Network – a service which now touches all of Sony's connected devices.